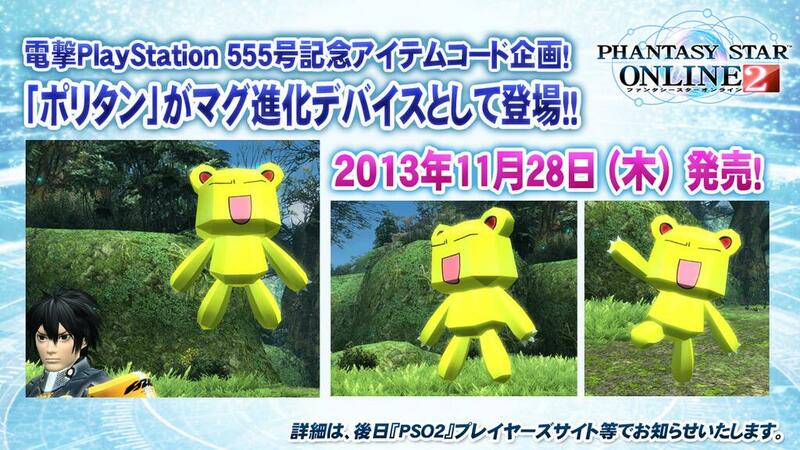 Fate/stay night and Fate/kaleid liner Prisma Illya will be collaborating with Phantasy Star Online 2 in November. 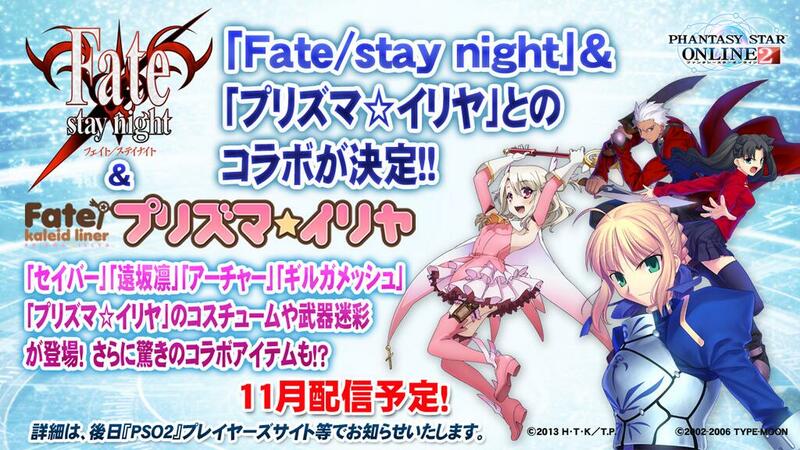 This collaboration includes weapon camos and costumes from Prisma Illya, Gilgamesh, Archer, Saber, and Rin Tohsaka! 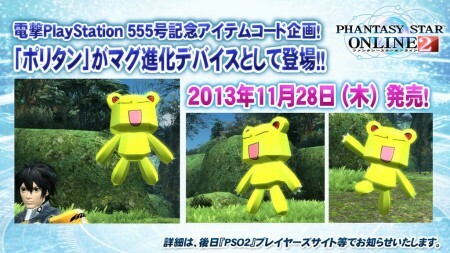 Players can obtain an item code for the Polytan Mag contained in issue #555 of Dengeki Playstation. This issue goes on sale on November 28th, 2013.